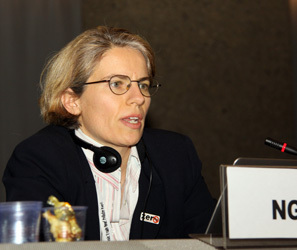 IISD Reporting Services (IISD RS) has produced daily web coverage, daily reports and a summary and analysis from this meeting. 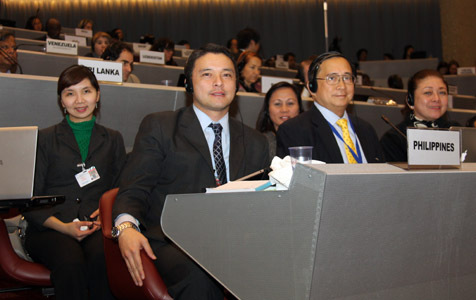 To download our reports, click the HTML/PDF icons below. 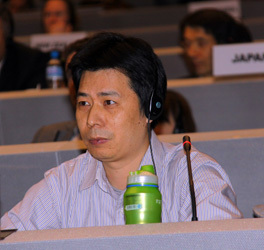 8:00am: Plenary resumed at 6:01am and adopted the Minamata Convention on Mercury at 6:59am. 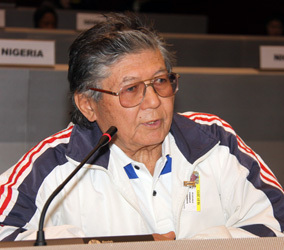 Chair Lugris gaveled the meeting to a close at 7:42am. 3:30am: INC5 plenary reconvened at 2:40am: delegates endorsed a compromise package on the preamble, finance and compliance. 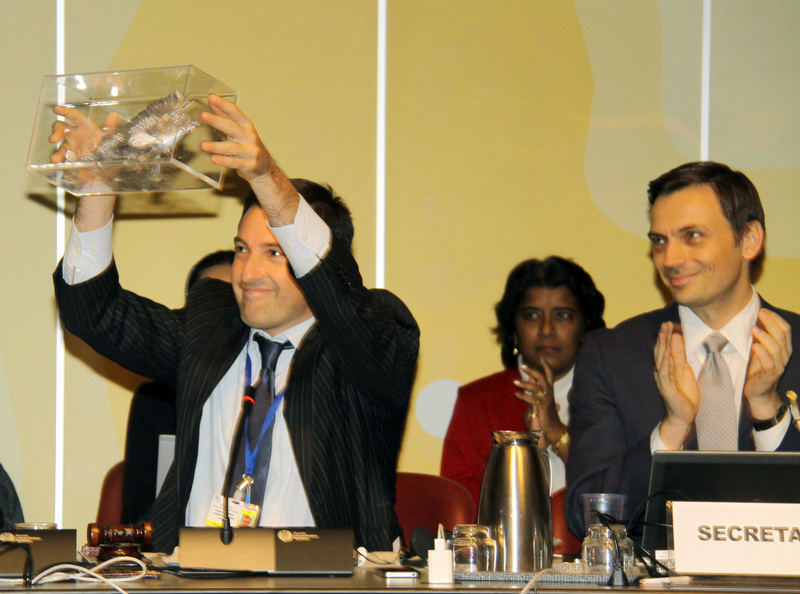 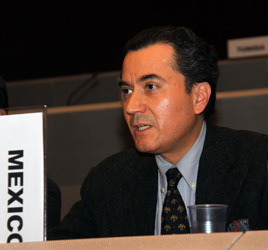 Plenary suspended at 3:26 to allow the legal group to complete its review of the text of the global mercury convention. 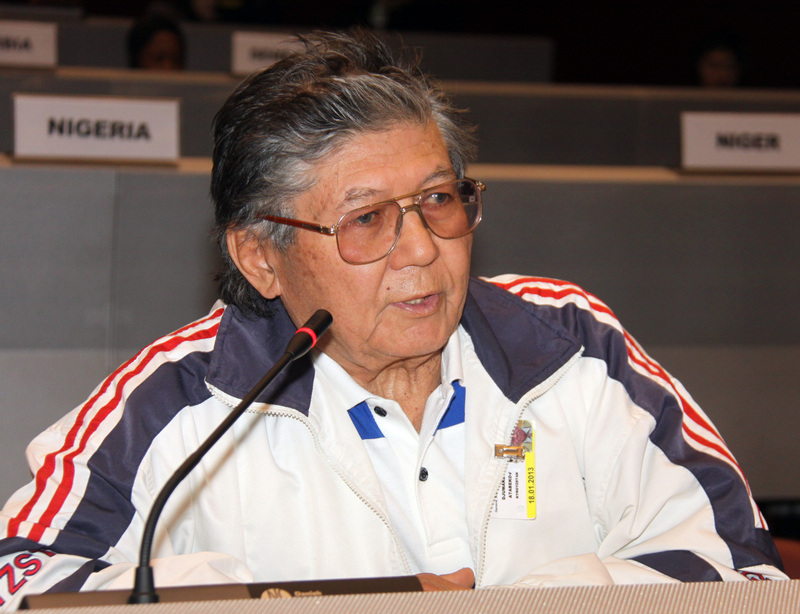 Chair Lugris gaveled the meeting to a close at 7:42am. 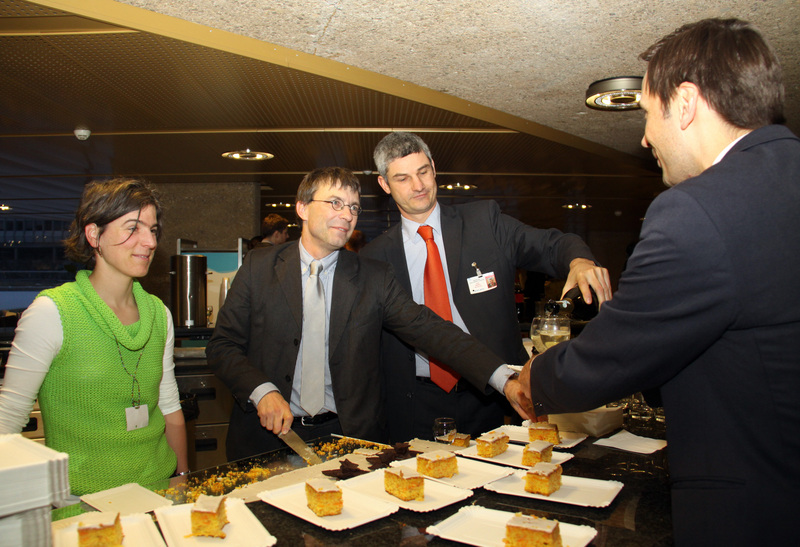 Swiss delegates serving champagne and cake in celebration of the adoption of the Minamata Convention on Mercury. Chair Lugris throwing the final report with excitement after its adoption. 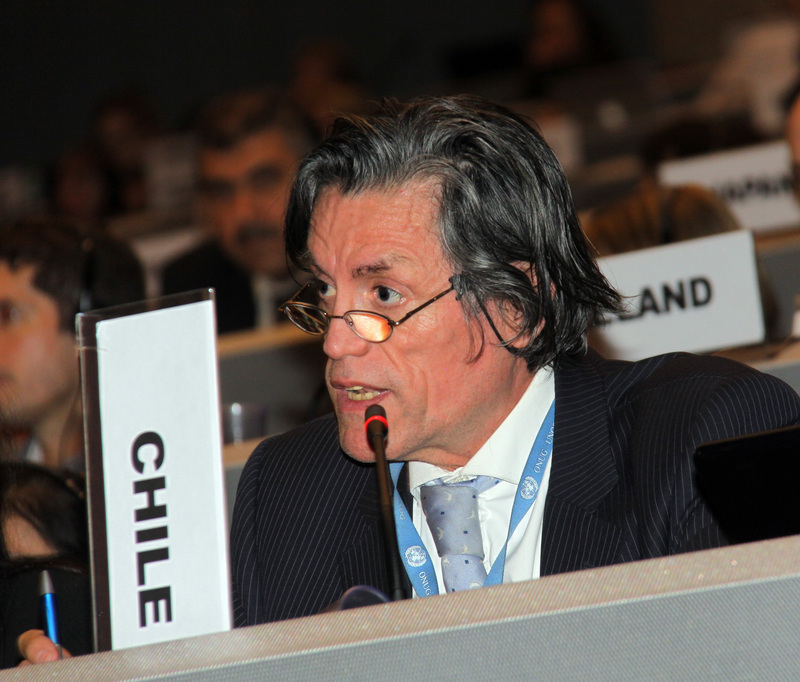 Chair Lugris requesting UNEP's Sheila Logan to adopt "Pez-Peste" until it is brought to Minamata for the signing of the Convention. 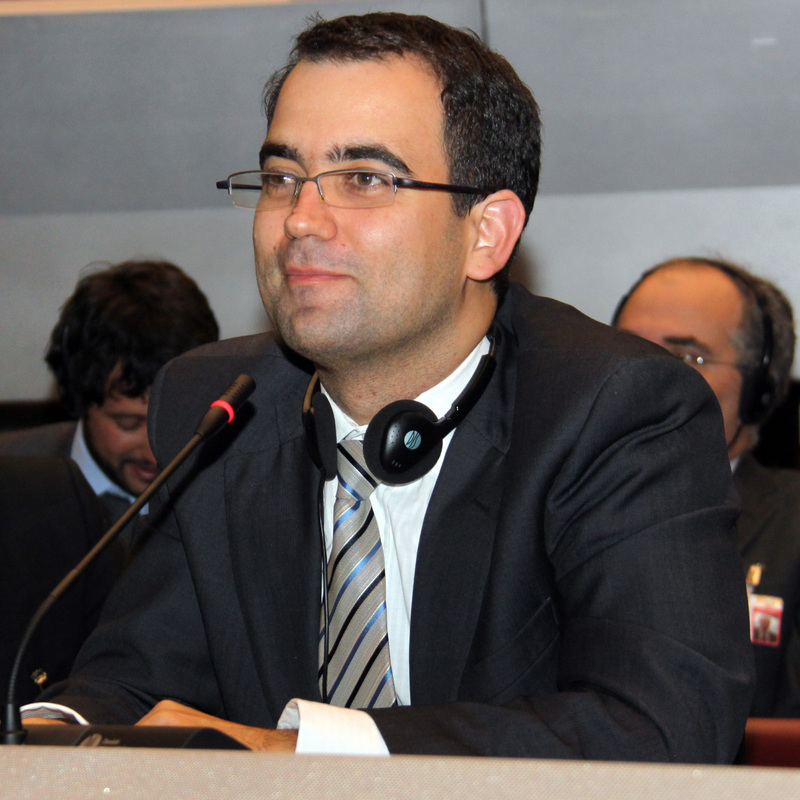 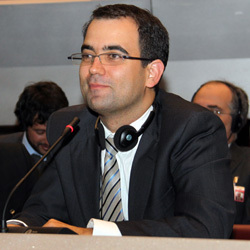 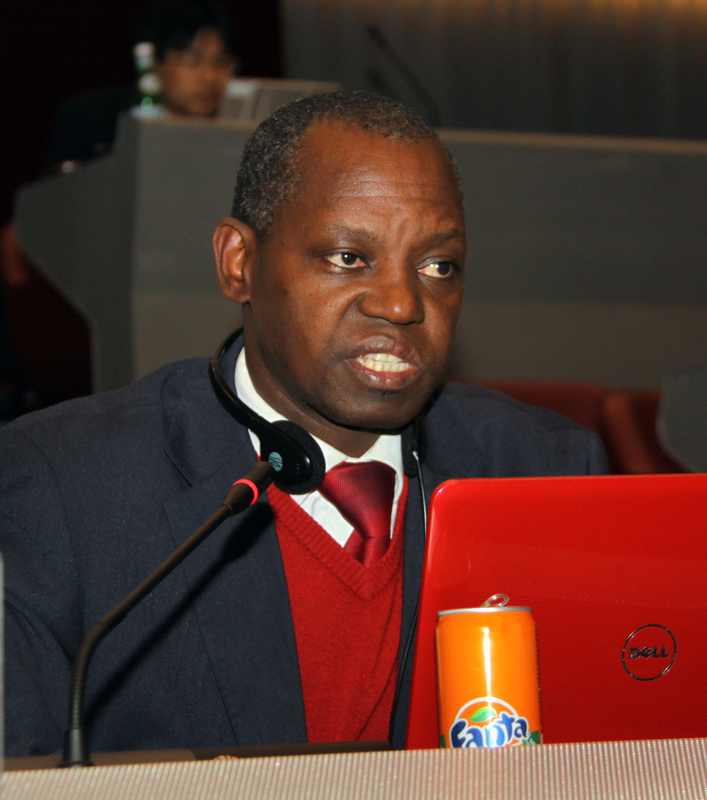 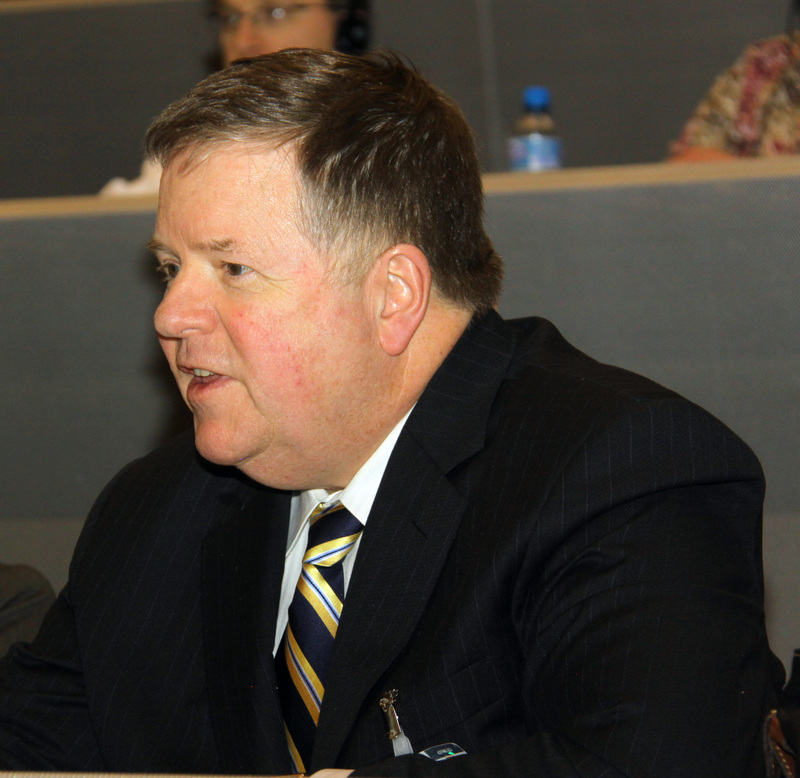 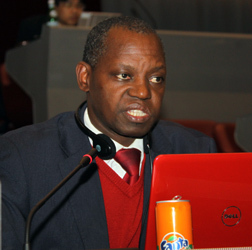 On Thursday, Chair Lugris announced that negotiations in contact groups should be concluded by the end of the day, to allow finalization of the text of the instrument on Friday. 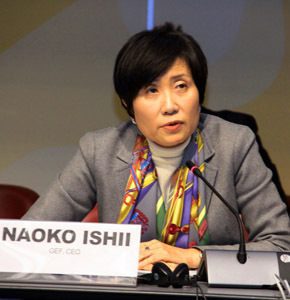 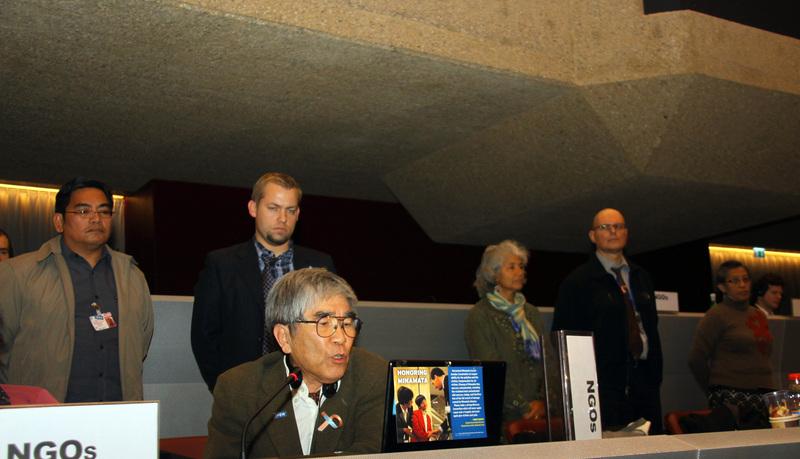 INC5 delegates met in plenary in the morning, late afternoon and night, to hear reports from contact and other small groups and remarks from Naoko Ishii, GEF CEO and Chairperson. 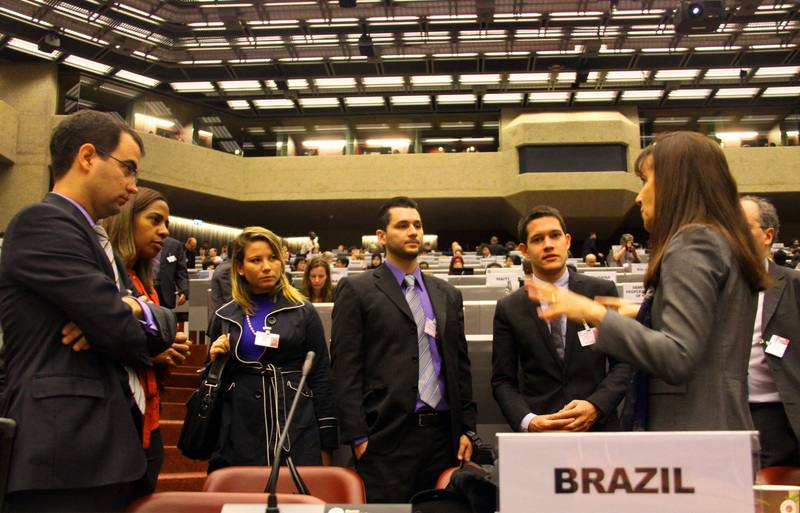 Contact groups met throughout the day on: selected technical articles; finance; emissions and releases; health aspects and implementation plans; and articles of a legal nature. 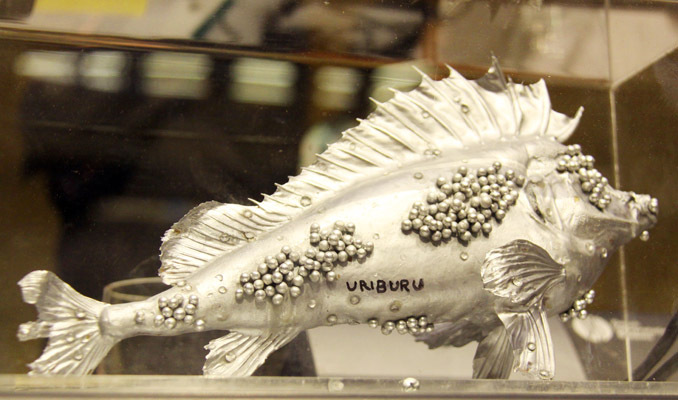 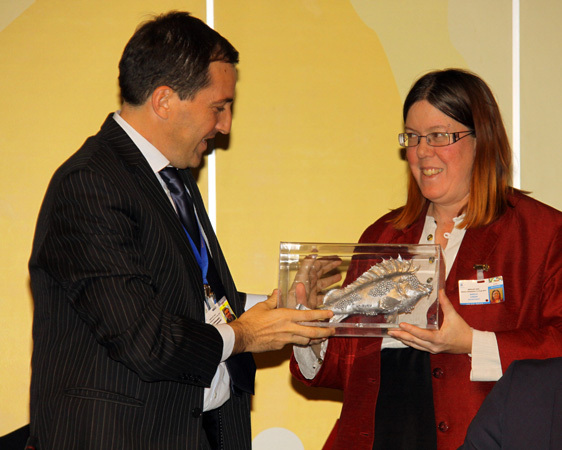 Sculpture "Pez-Peste" by Nicholas Garcia Uriburu, Argentina, was presented to the INC as a reminder of the irreversible consequences of mercury contamination and pollution. 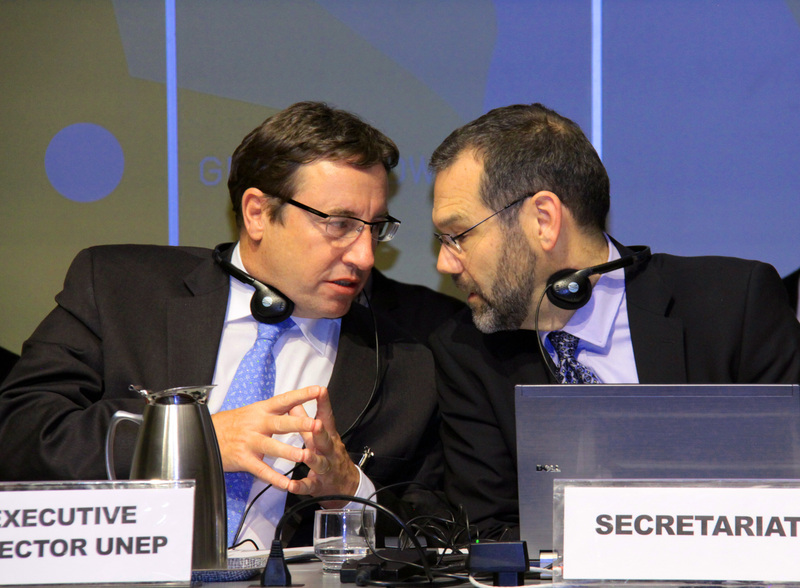 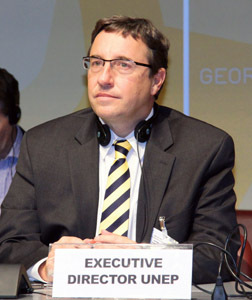 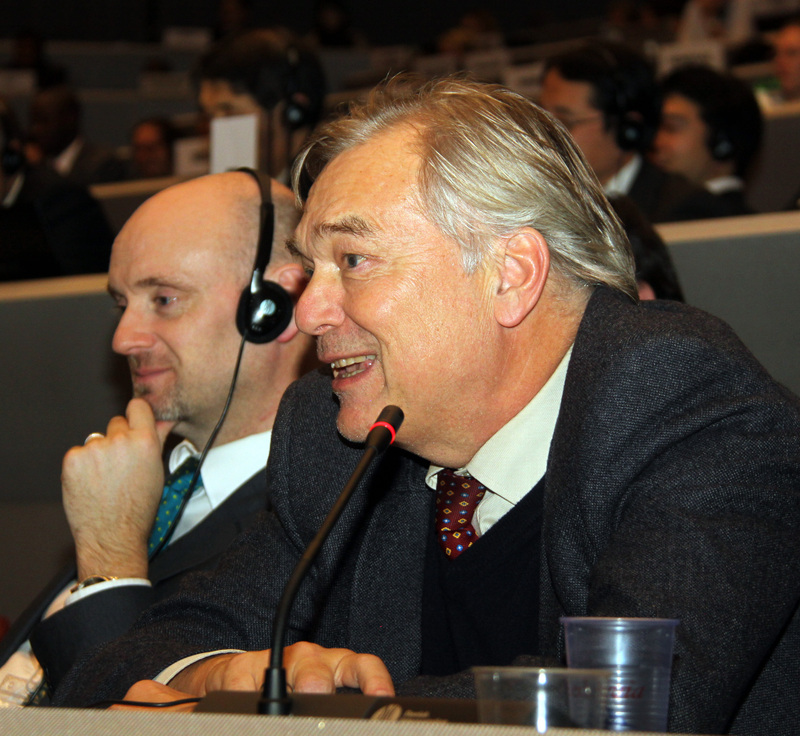 On Wednesday, INC5 delegates met in plenary in the morning to hear reports from the contact and other small groups, and in the afternoon to hear high-level remarks, including by UNEP Executive Director Achim Steiner and Swiss Minister of the Environment Doris Leuthard. 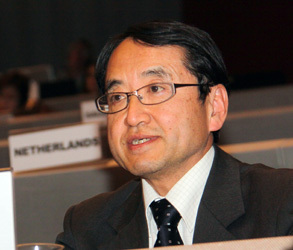 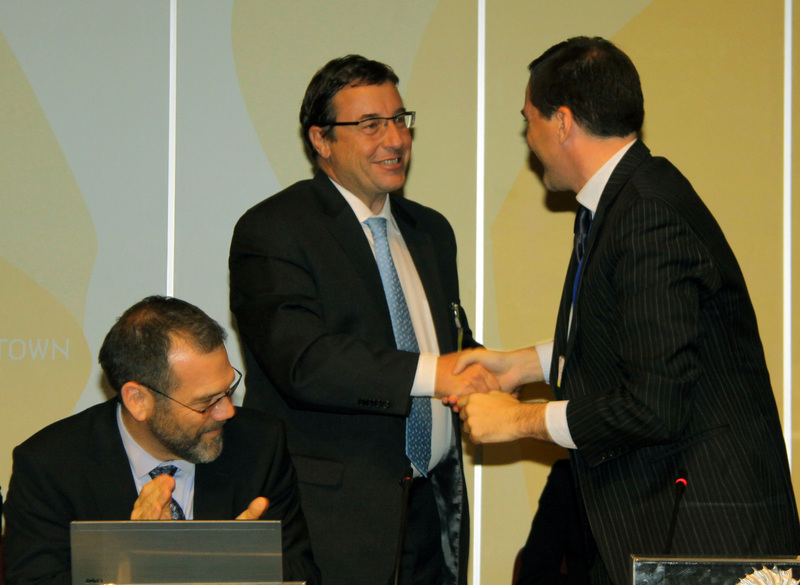 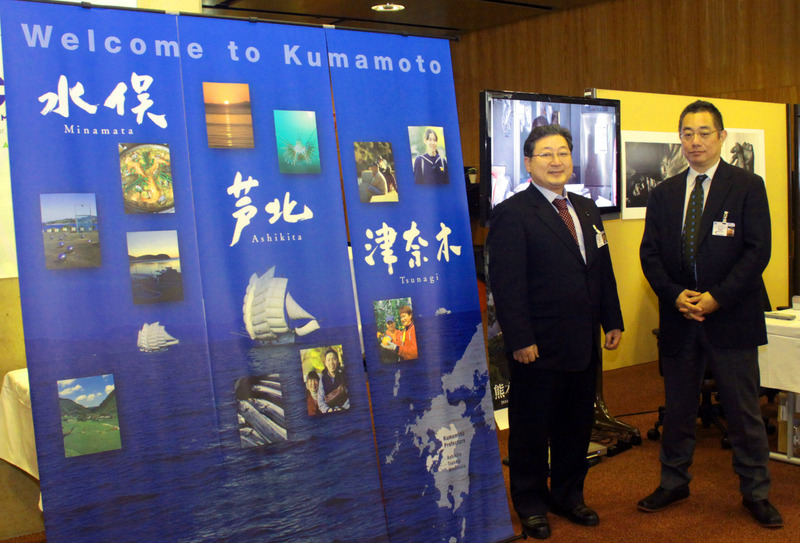 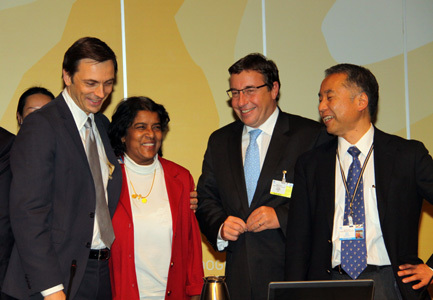 Switzerland, Japan and Norway pledged interim financial support for the instrument. 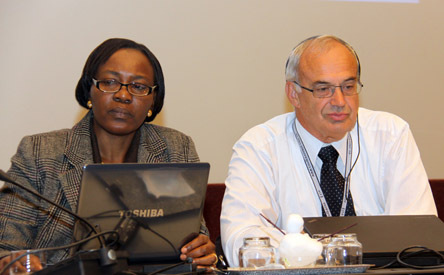 Contact groups met throughout the day on: selected technical articles; finance, technical assistance and technology transfer; emissions and releases; and articles of a legal nature. 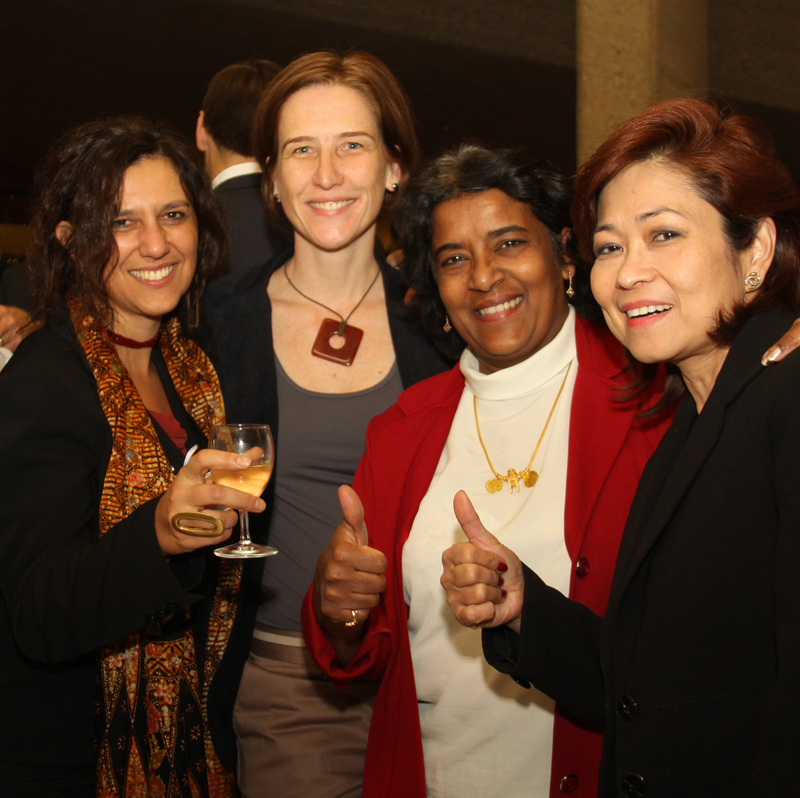 A “Friends of Health” informal group also met throughout the day. Another “Swiss Break” was held in the evening. 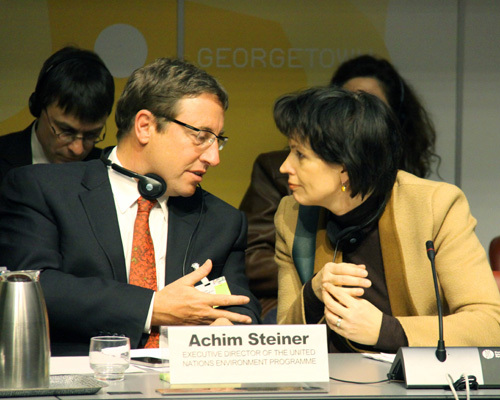 L-R: Achim Steiner, UNEP Executive Director, in conversation with Federal Councillor Doris Leuthard, Head of the Federal Department of the Environment, Transport, Energy, and Communications of Switzerland. Chocolate incentive to conclude the negotiations distributed to all delegates in plenary. 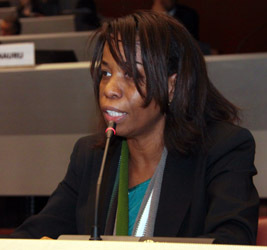 On Tuesday, INC5 delegates met in plenary in the morning and afternoon, to address: information exchange; research, development and monitoring; reporting; health aspects; implementation plans; treaty objective; relationships with other agreements; definitions; institutional arrangements; final provisions; and compliance/implementation committee. The contact group on selected technical articles and a Friends of the Co-Chairs group on technical assistance and technology transfer met throughout the day. 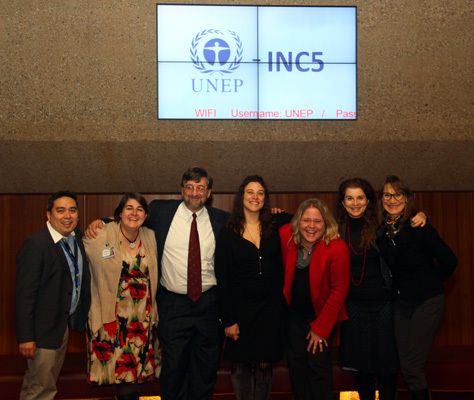 A technical group on emissions thresholds met in the morning, with the contact group on emissions and releases reconvening in the afternoon and continuing its work into the night. 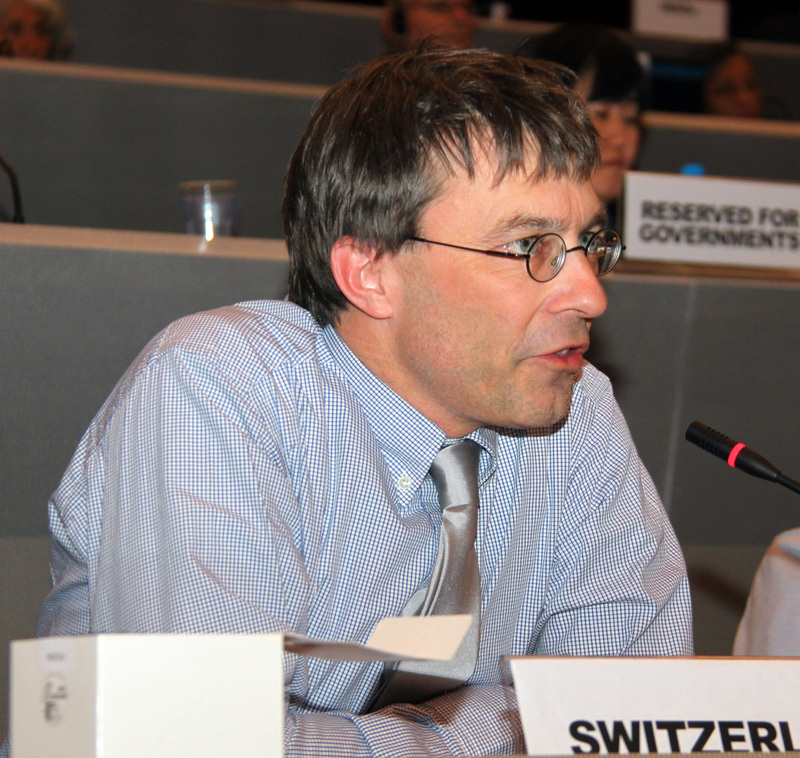 Following a “Swiss break,” a new contact group on health aspects and implementation plans convened in the evening. 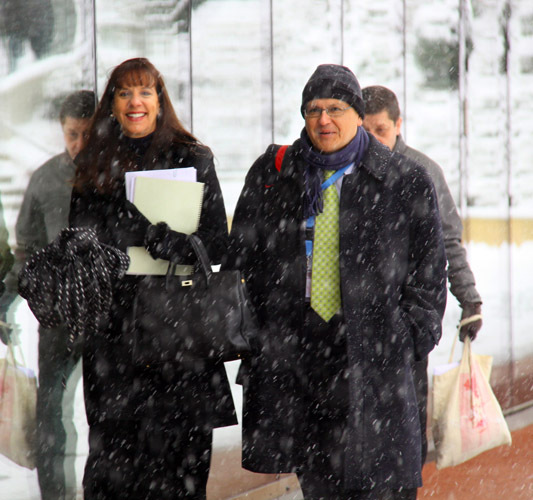 Notwithstanding "rain, sleet or snow," participants head to the INC5 negotiations at the CICG. 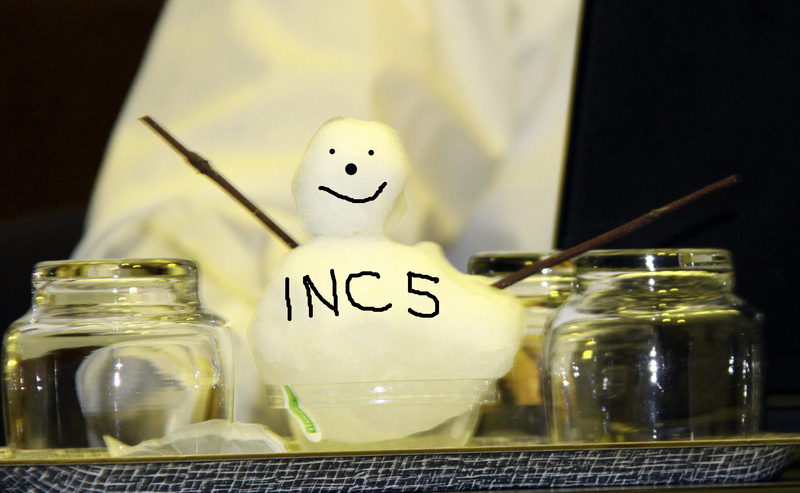 Contact group snowman ... discussion heat indicator? On Monday, INC5 delegates met in plenary in the morning and afternoon, to address emissions and releases, supply and trade, artisanal and small-scale gold mining, and waste. 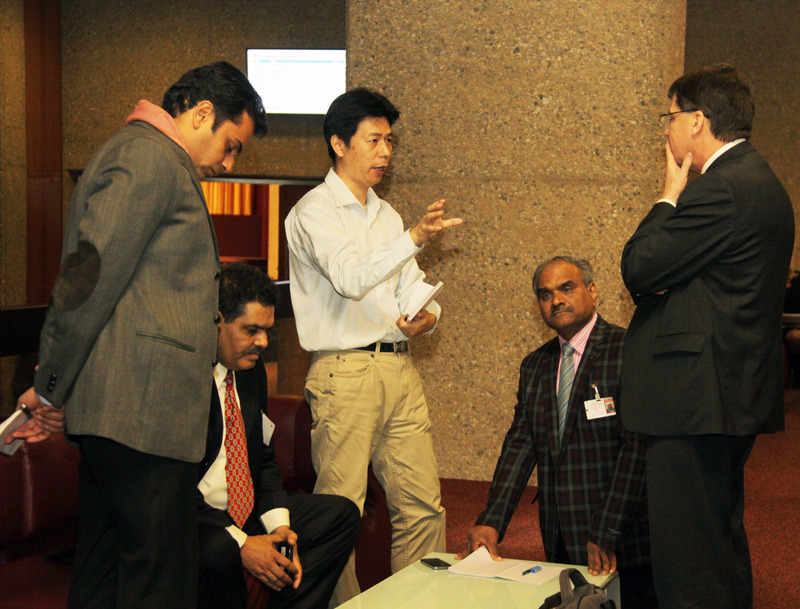 Contact groups on selected technical articles and on technology transfer convened in the morning and evening. A contact group on emissions and releases met in the afternoon, followed by a Friends of the Co-Chairs group in the evening. 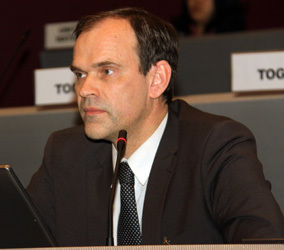 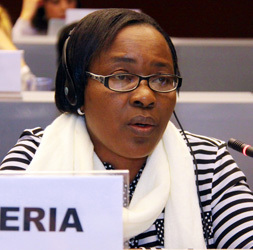 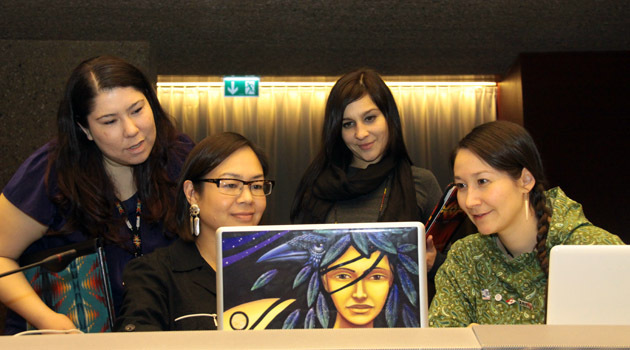 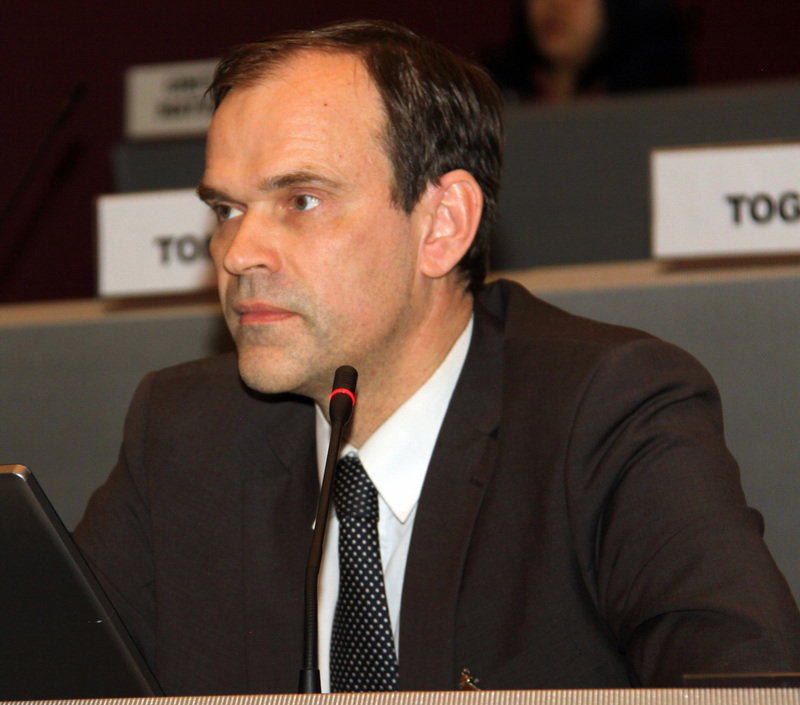 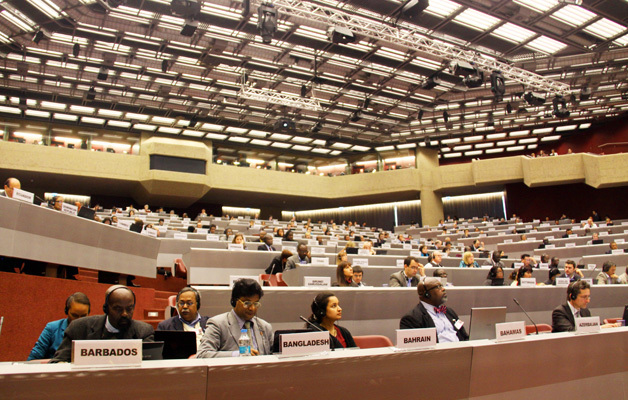 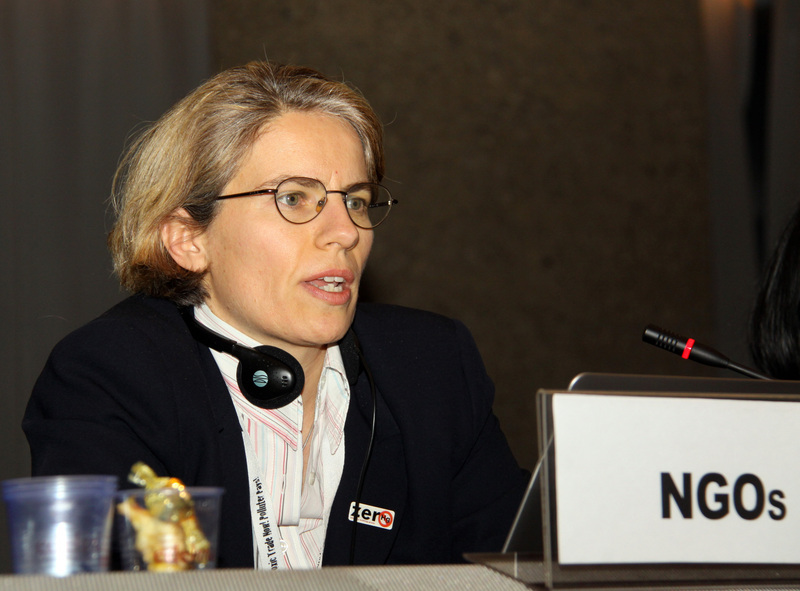 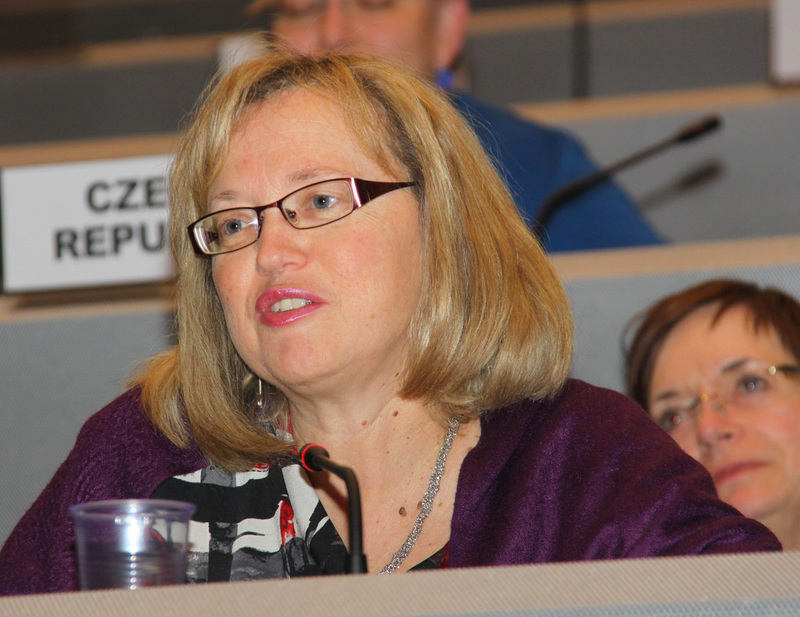 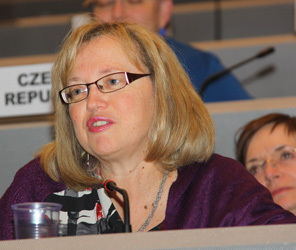 The fifth session of the Intergovernmental Negotiating Committee to Prepare a Global Legally Binding Instrument on Mercury (INC5) opened on Sunday, 13 January, in Geneva, Switzerland. 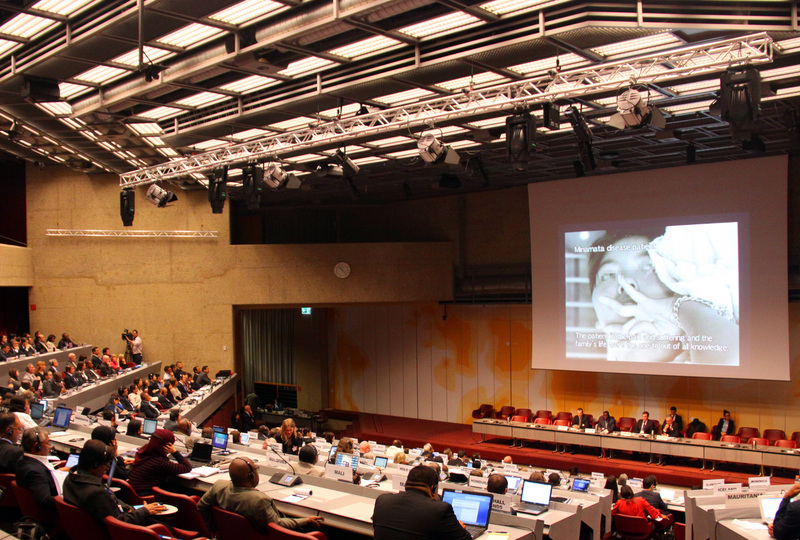 Plenary met throughout the day to address organizational matters, hear opening statements, and address the preamble of an instrument on mercury and its section on products and processes. 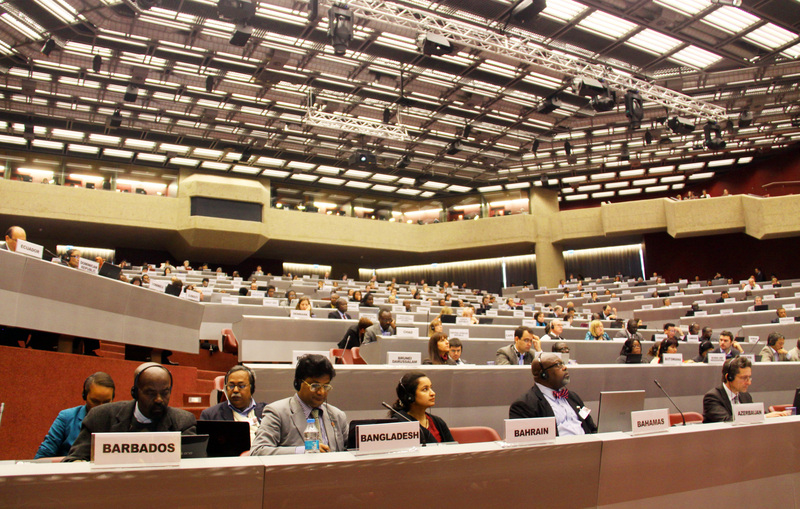 In the evening, the plenary reconvened to discuss financial resources and technical assistance, and in parallel a contact group focused on mercury-added products, manufacturing processes in which mercury is used, and exemptions available to a party upon request. 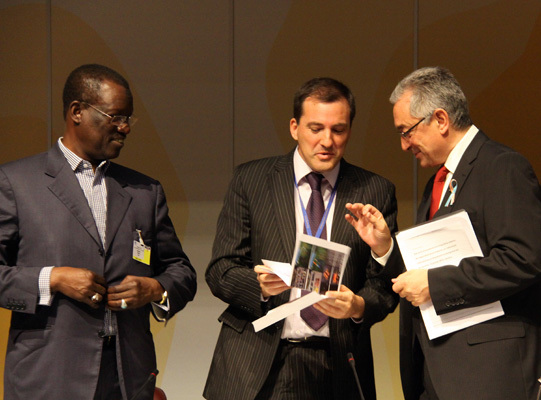 L-R: Bakary Kante, Chair Lugris and Bruno Oberle sharing a light moment at the conclusion of the opening plenary. Delegates watched a video on Minamata disease during the opening plenary.